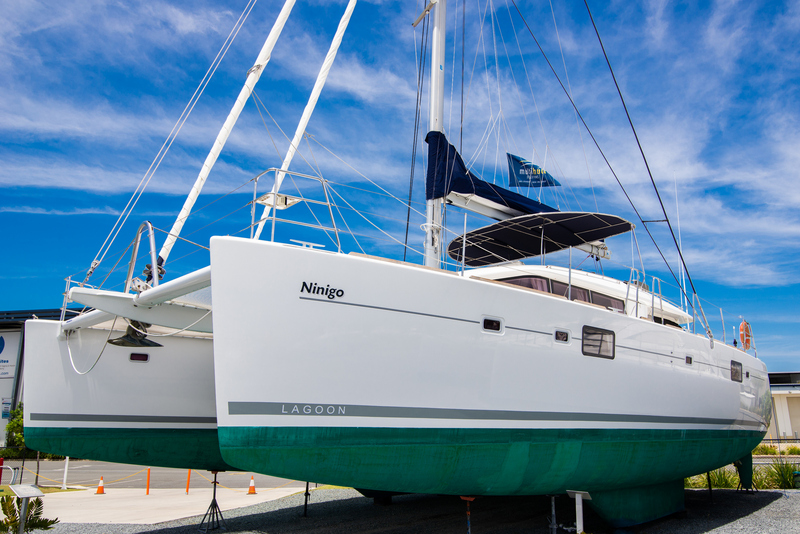 Proudly and exclusively offered for sale, the 2011 Lagoon 560 ‘Ninigo’ combines elegance with functionality. 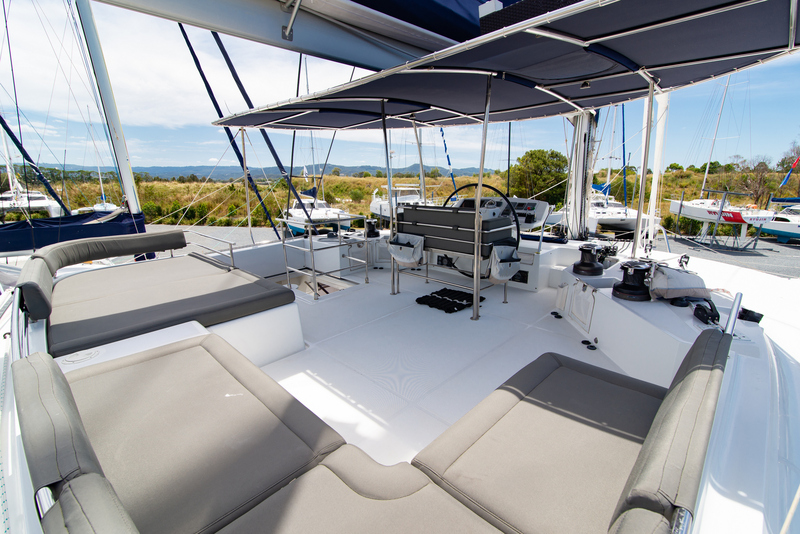 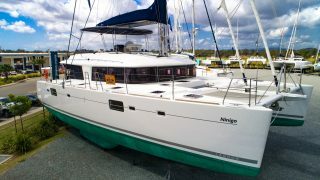 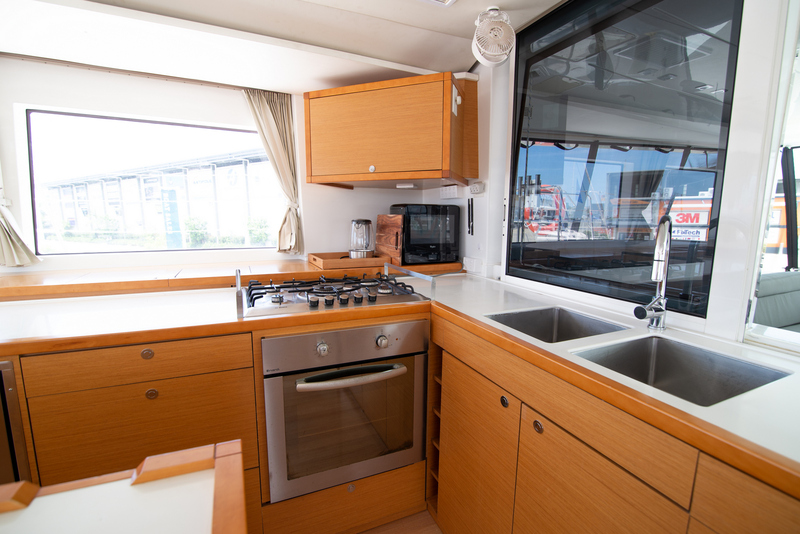 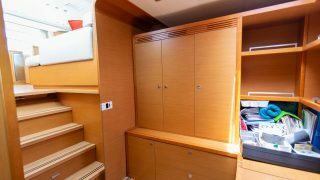 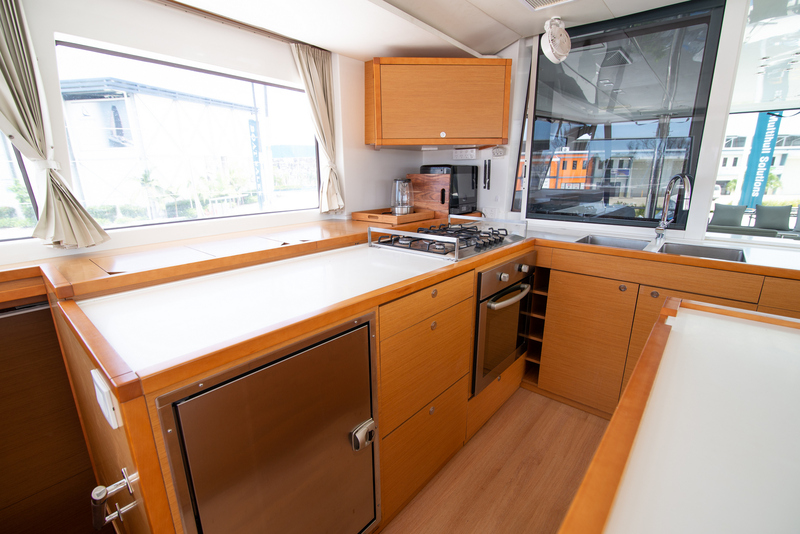 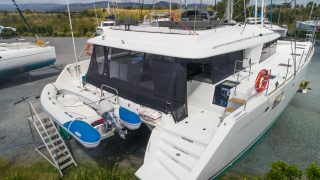 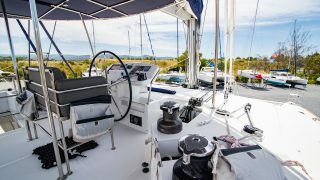 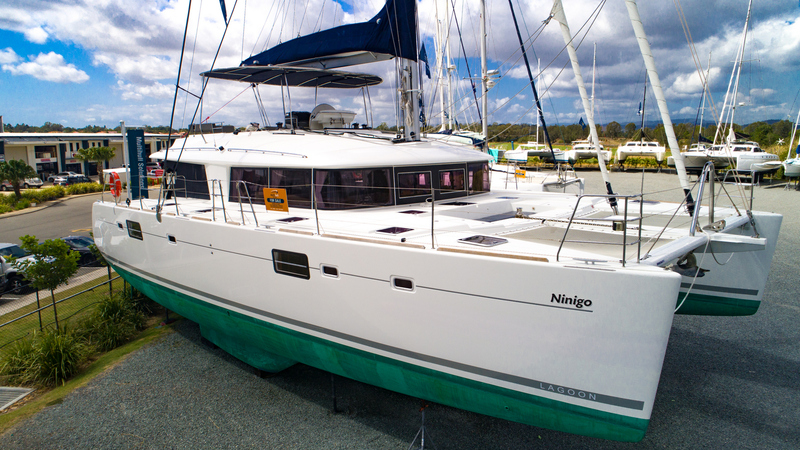 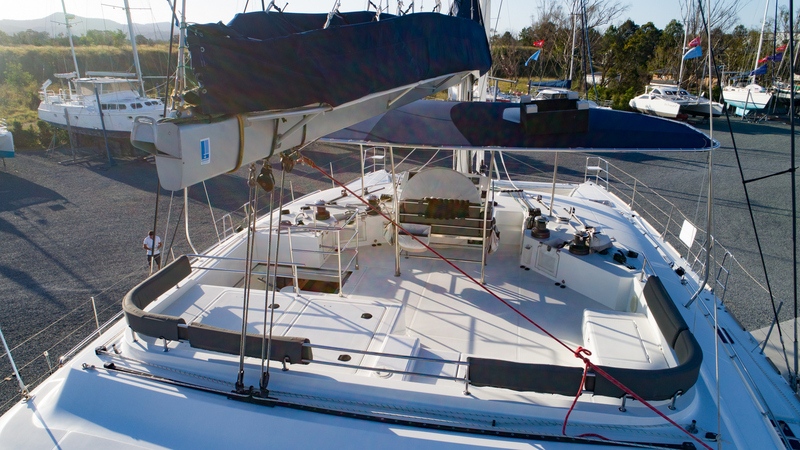 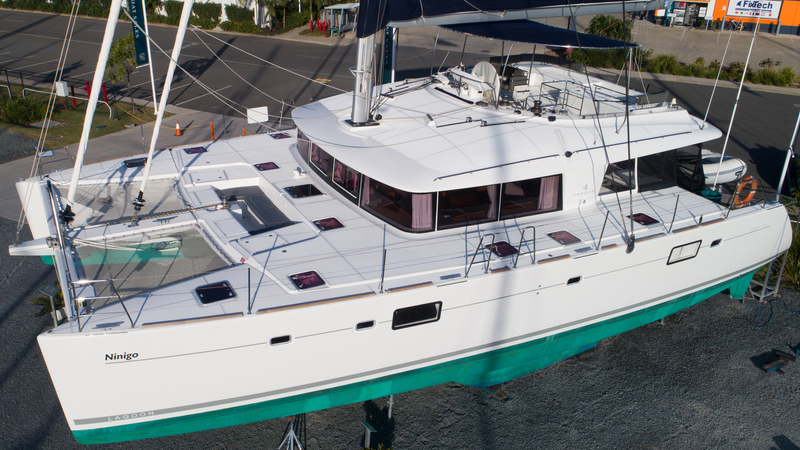 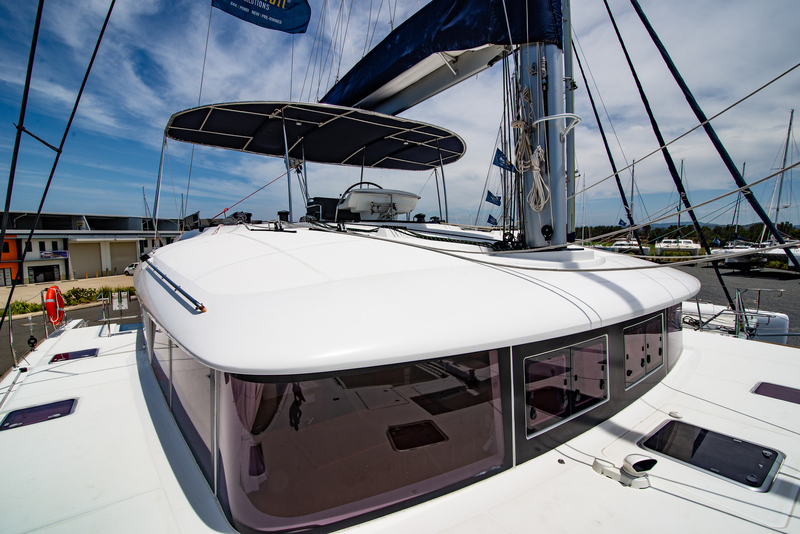 The Lagoon 560 is often described as the biggest boat a family can sail without professional crew. 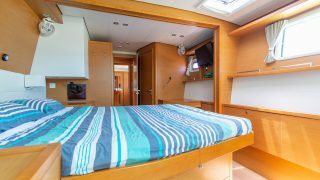 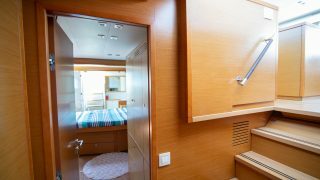 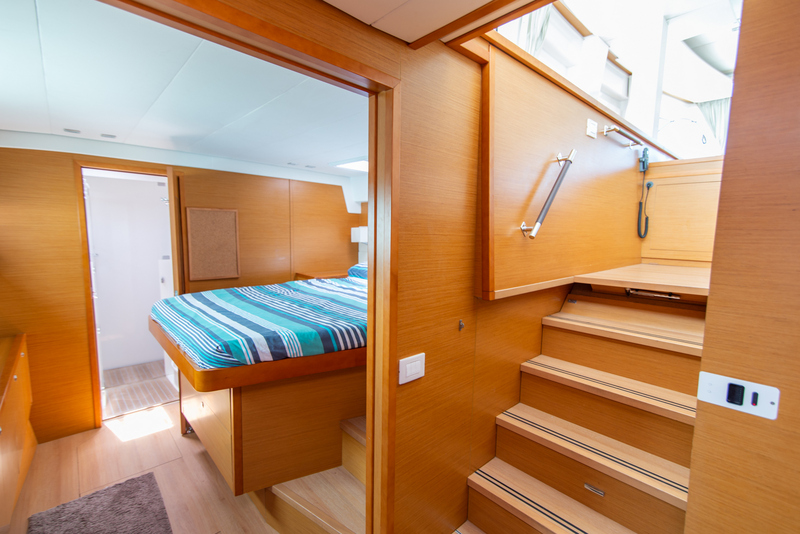 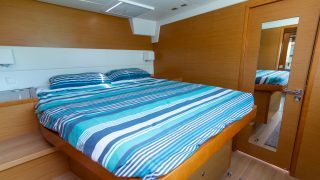 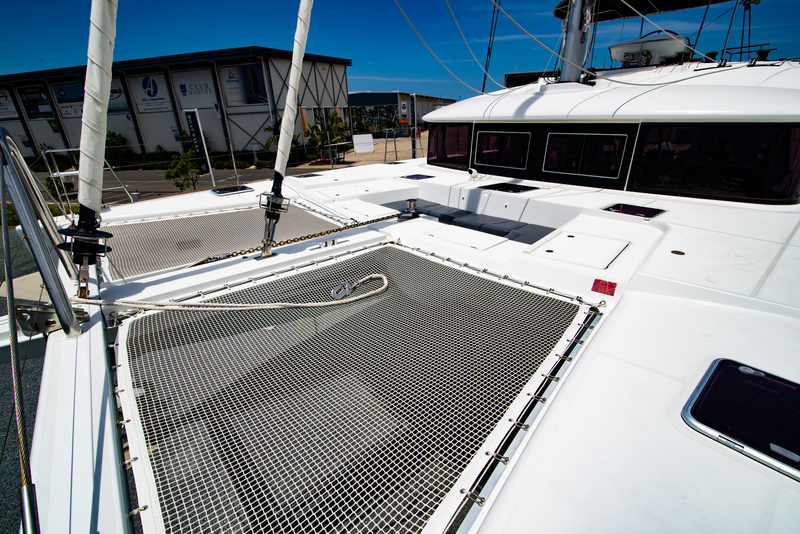 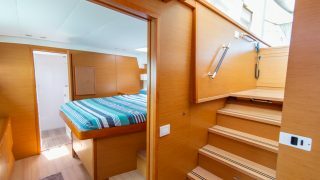 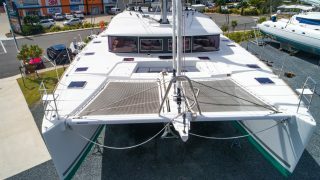 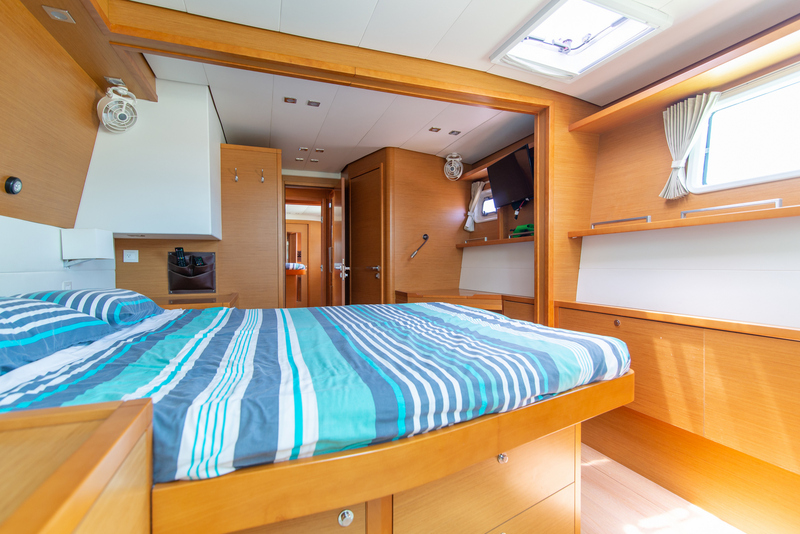 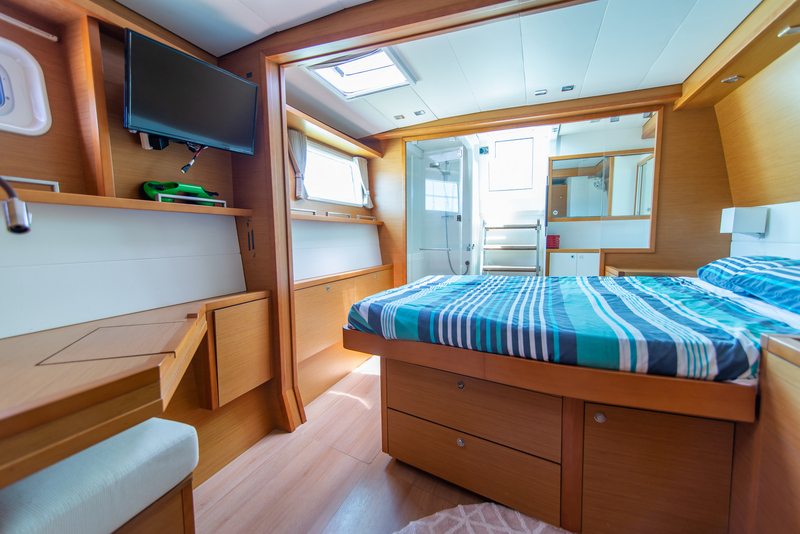 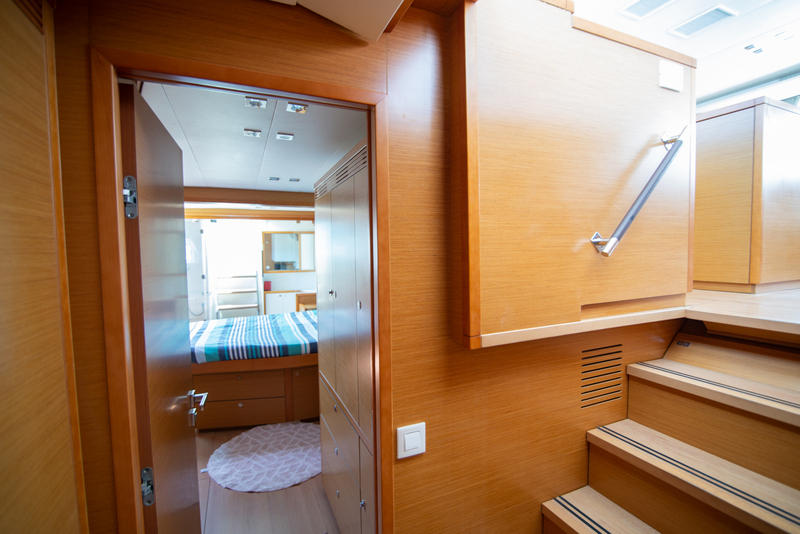 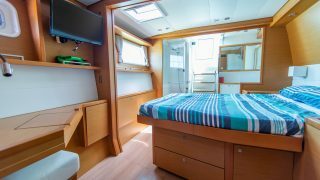 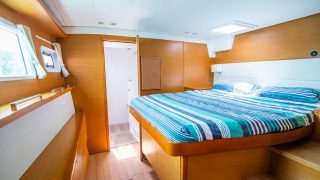 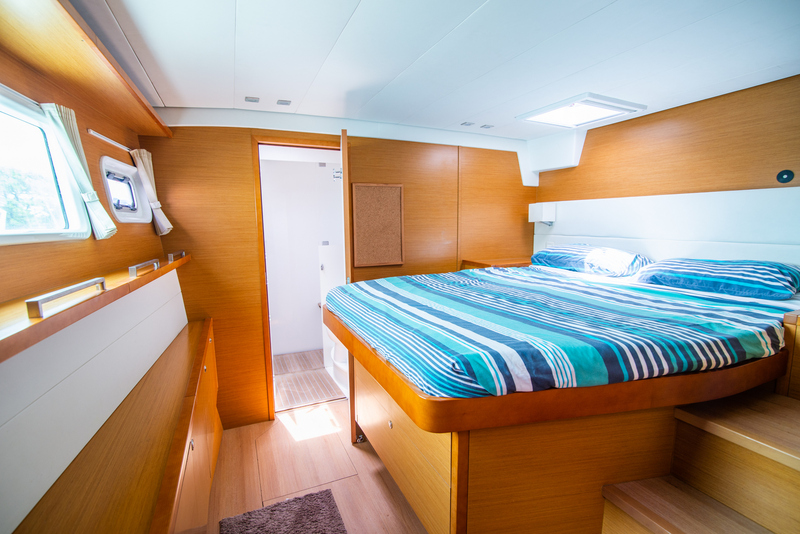 It is the ultimate Voyager’s catamaran, with all the advanced hallmarks of lagoon; infusion moulded construction, vertical windows for the saloon, spacious light-filled cabins and the ‘gull-wing’ bridge deck to mitigate slamming. 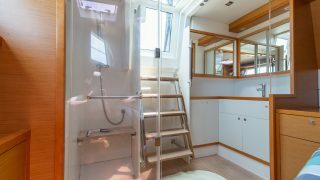 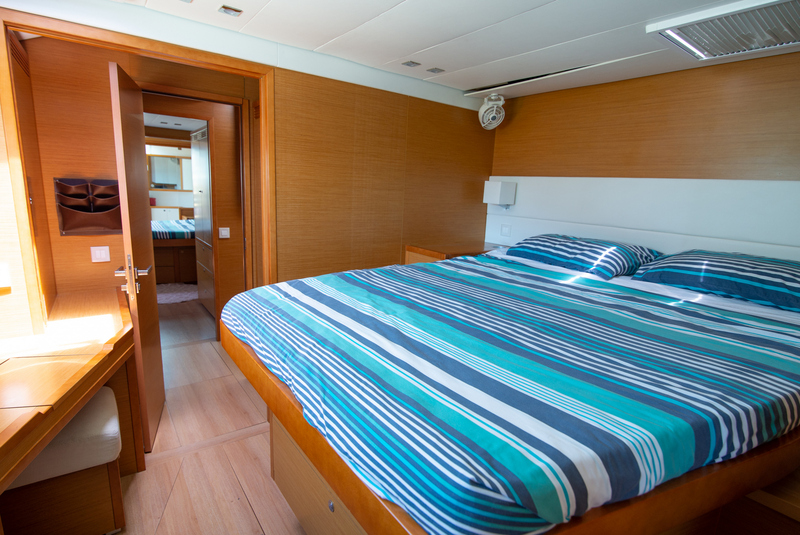 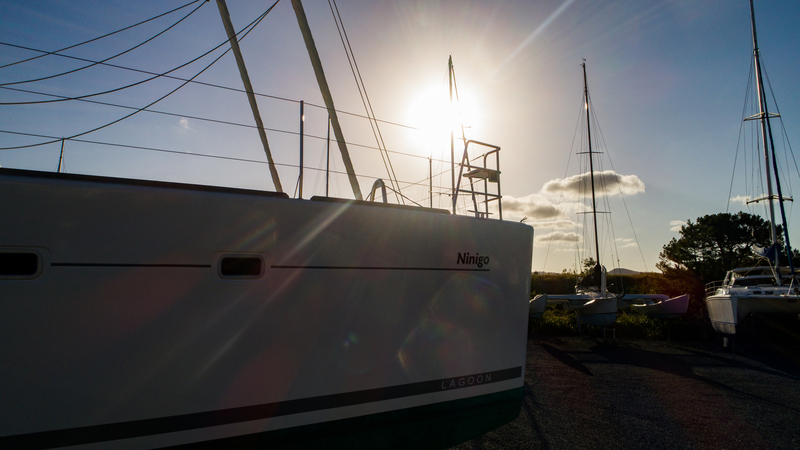 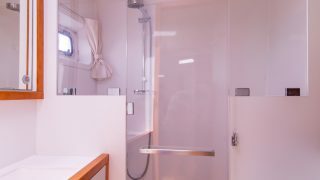 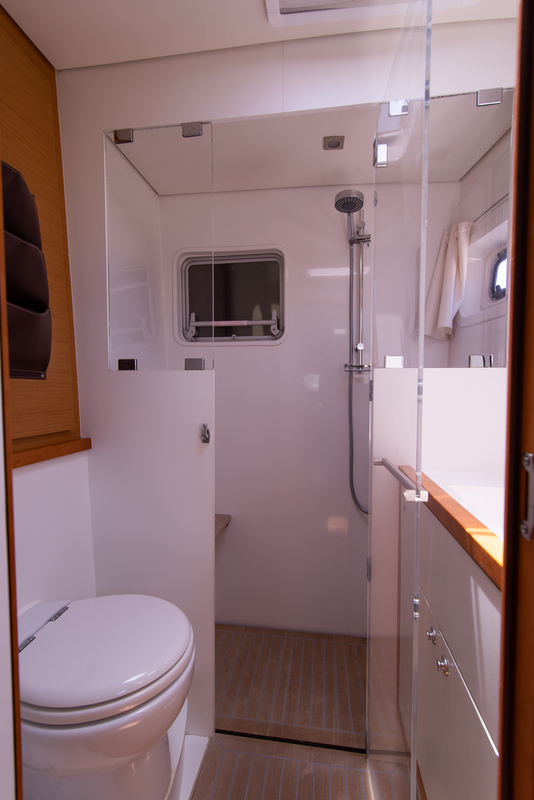 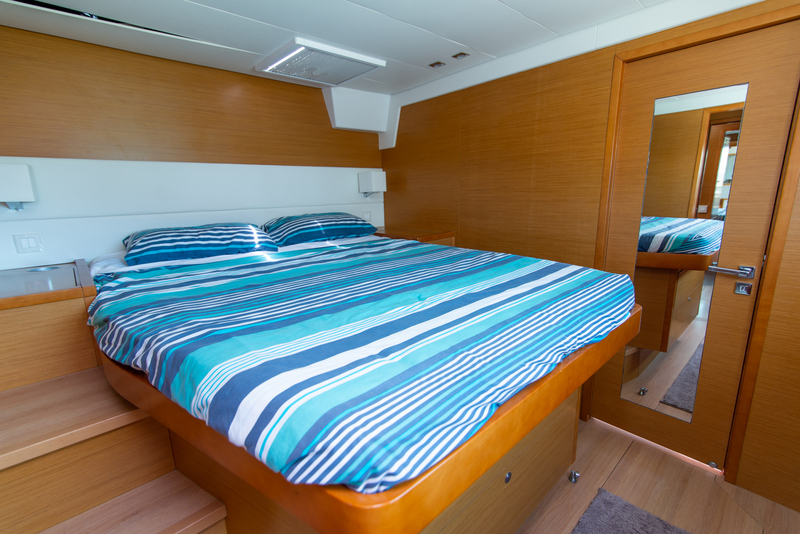 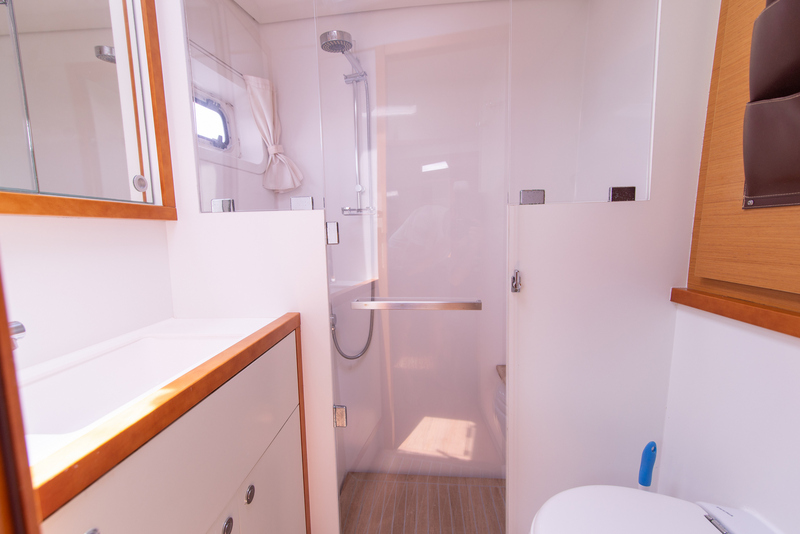 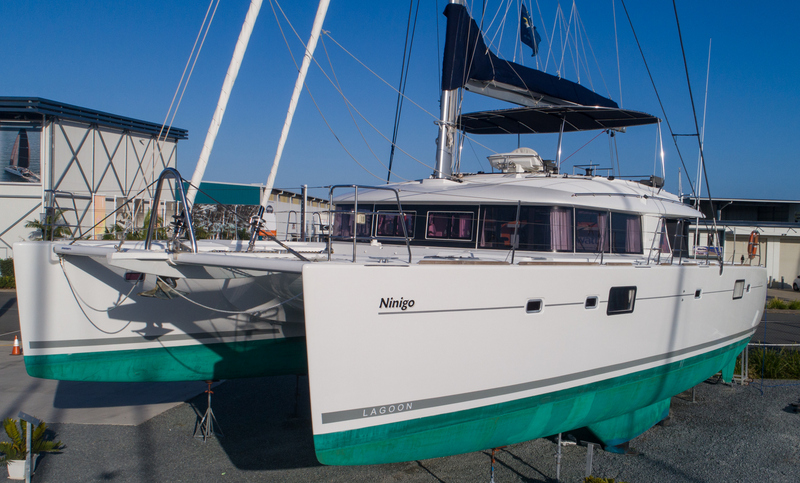 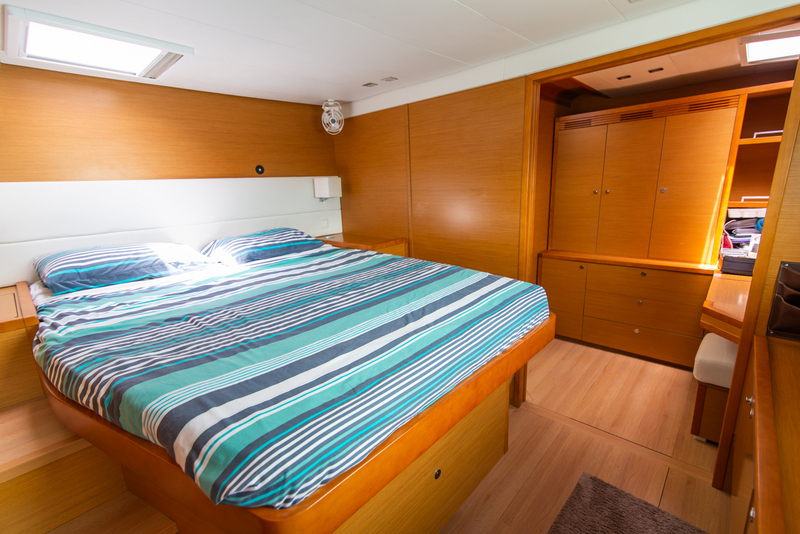 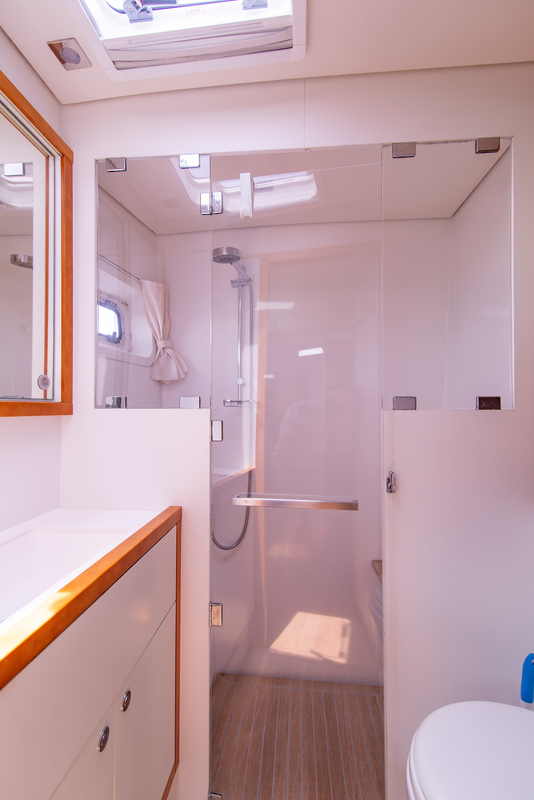 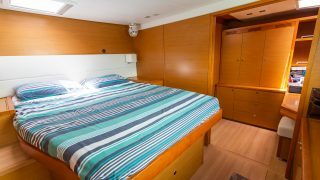 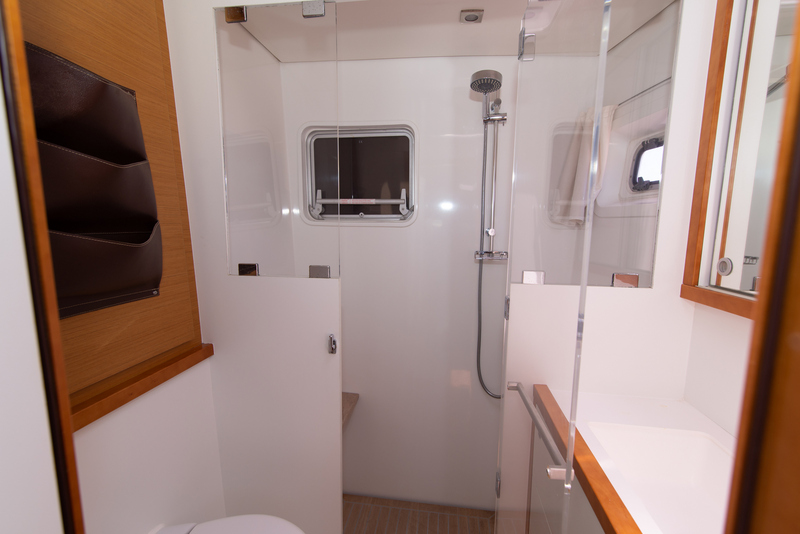 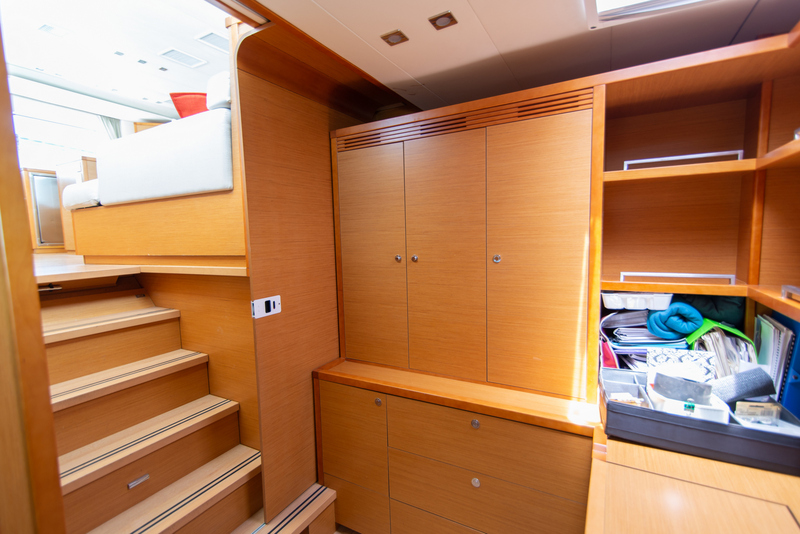 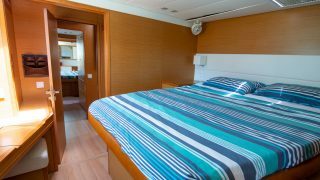 Ninigo’s luxurious airconditioned interior consists of four very large double cabins, all with private electric heads and showers, plus a crew cabin in the starboard bow. 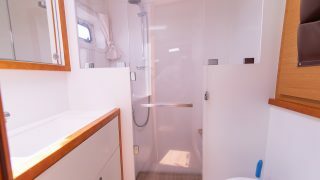 The spacious owners cabin includes an office and direct access to the cockpit. 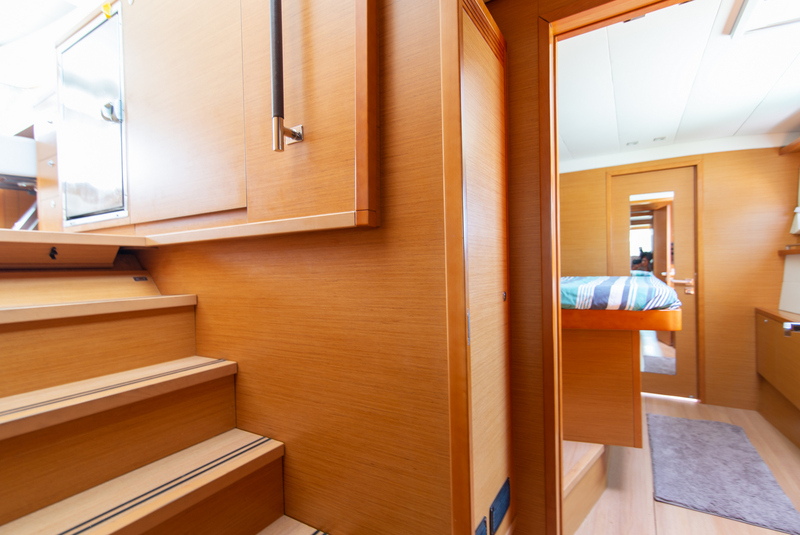 The sound-proofed engine compartments are separated from the living areas. 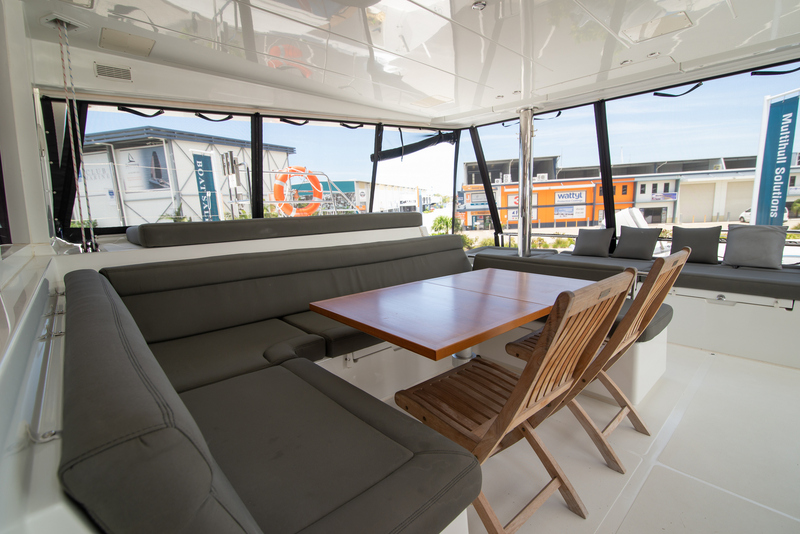 The thoughtfully designed deck has three separate areas. 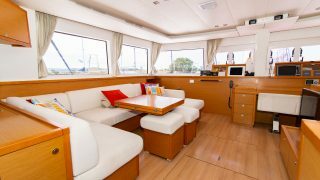 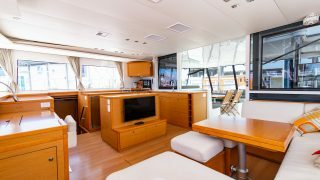 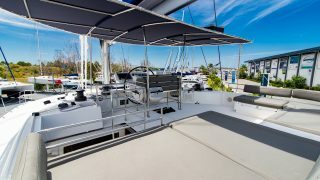 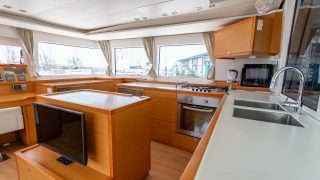 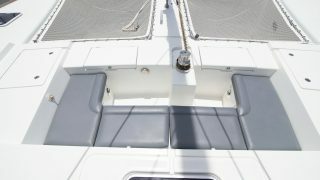 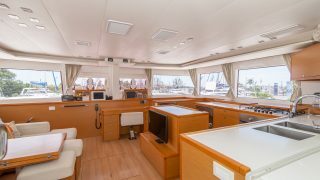 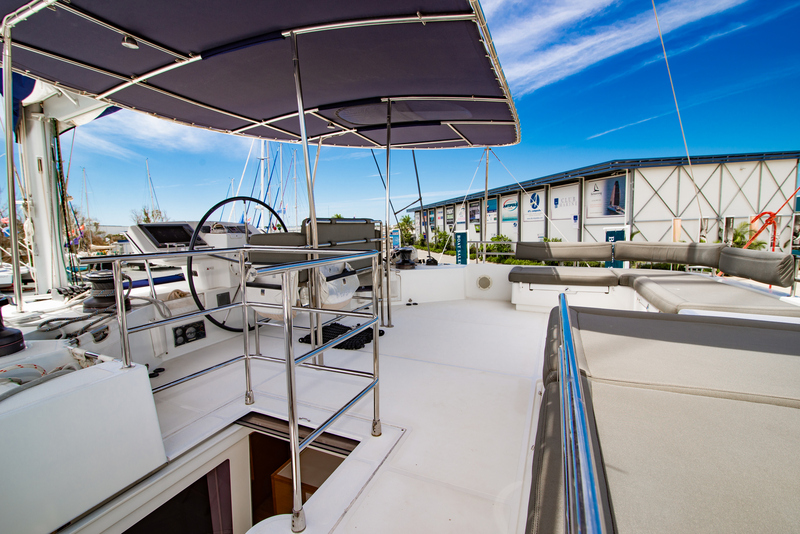 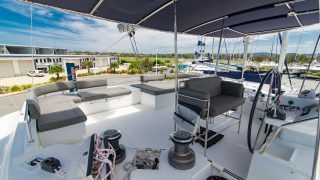 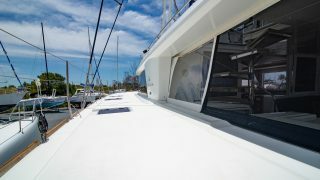 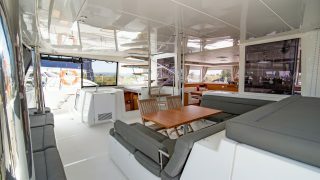 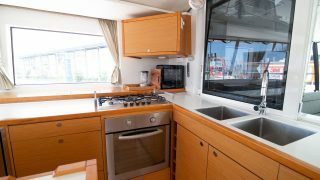 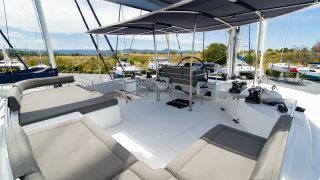 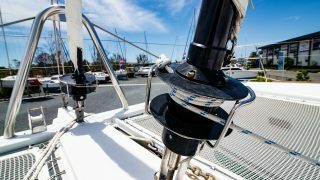 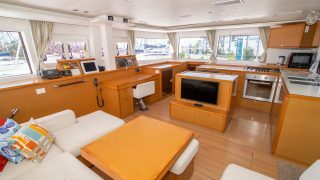 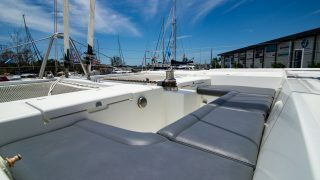 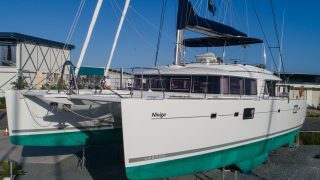 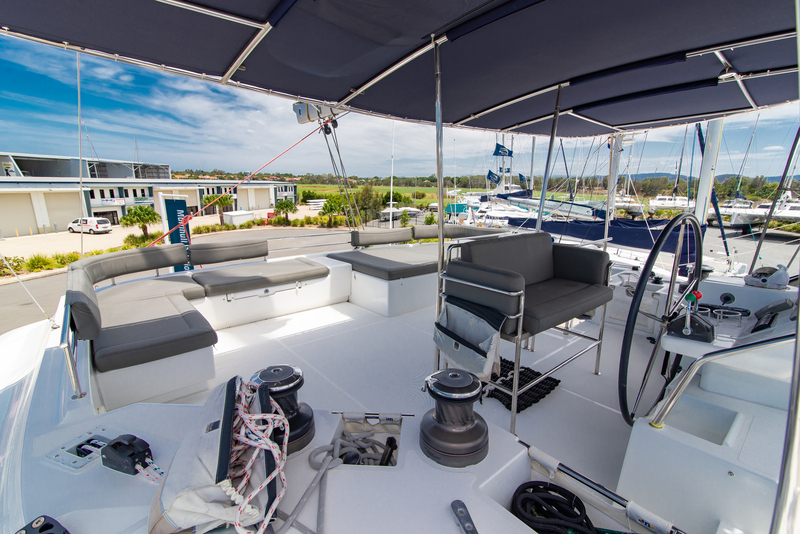 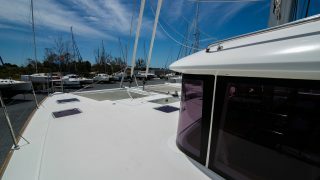 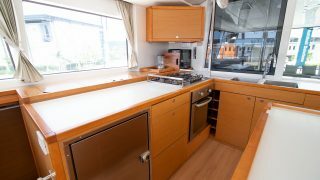 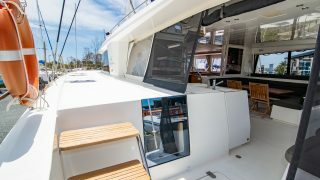 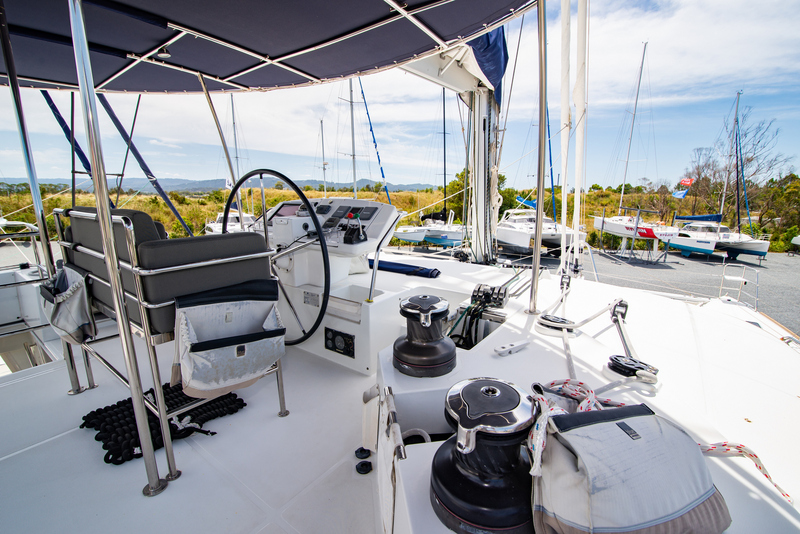 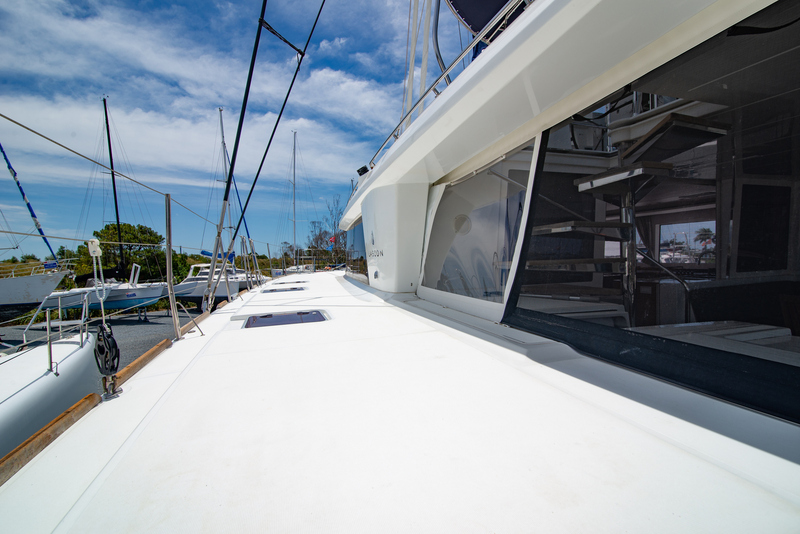 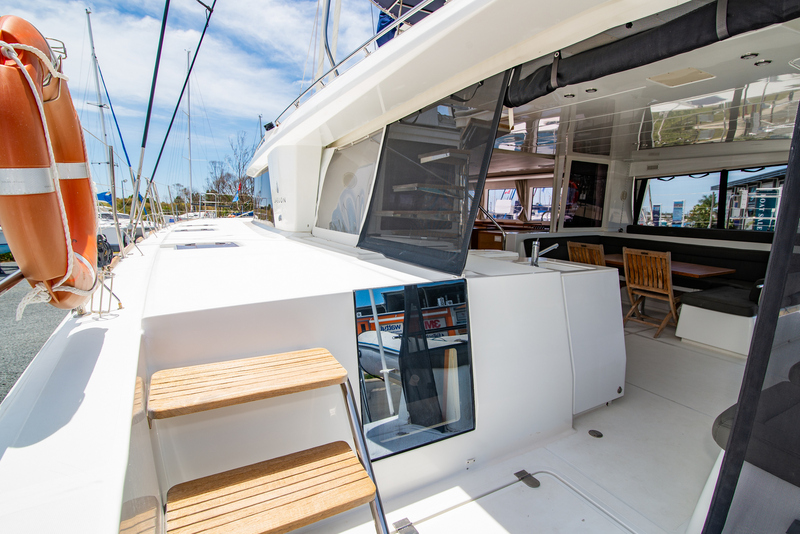 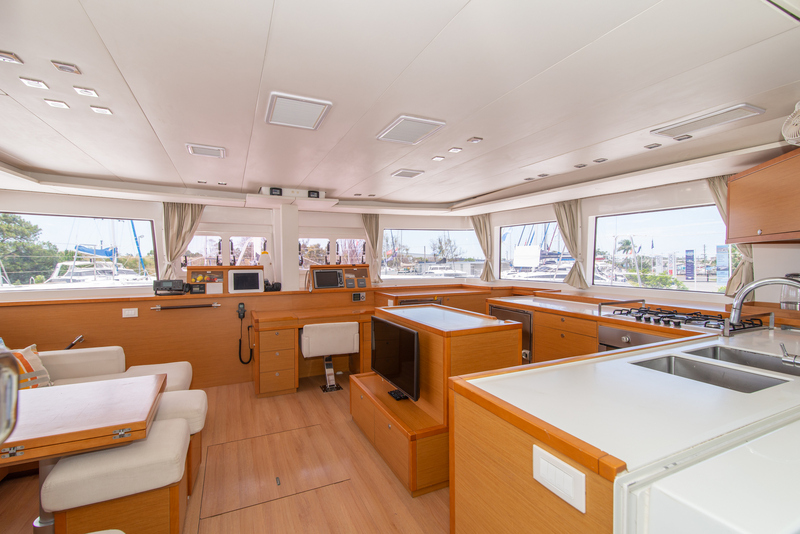 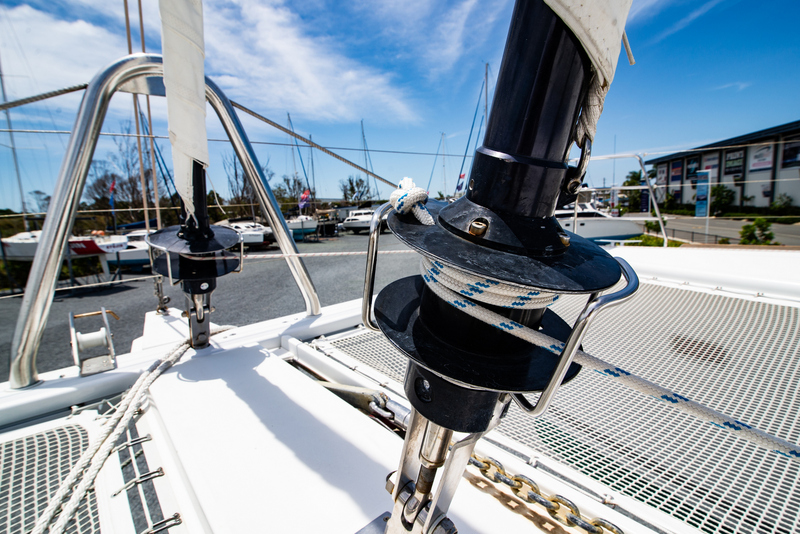 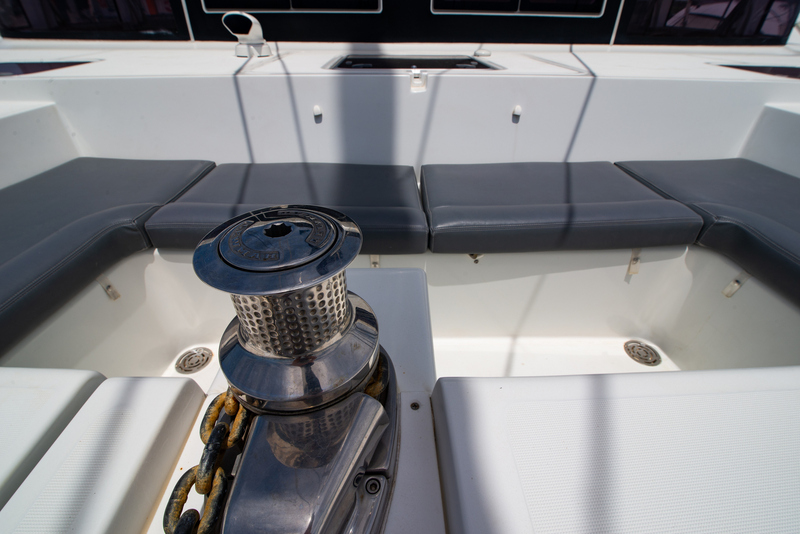 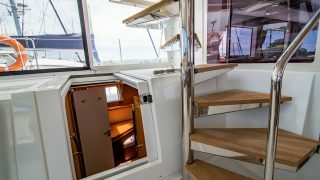 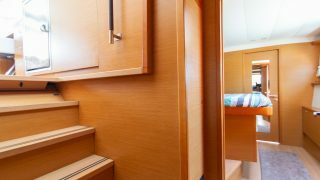 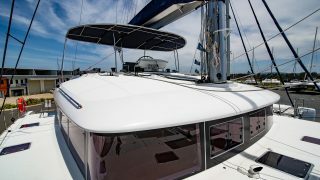 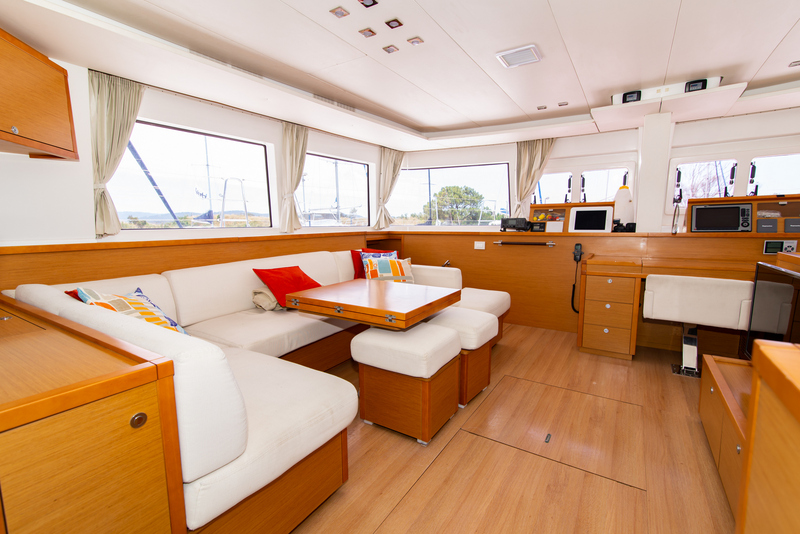 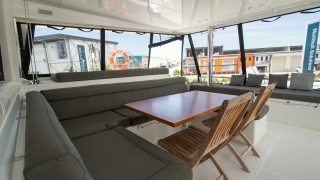 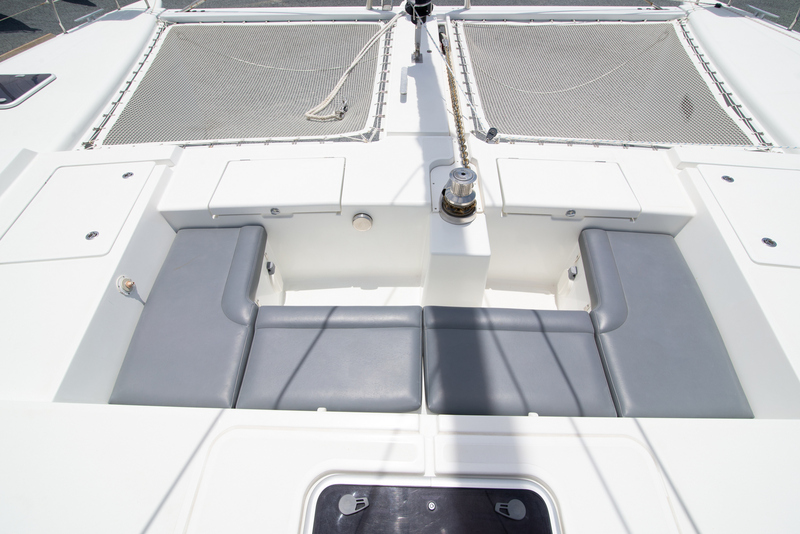 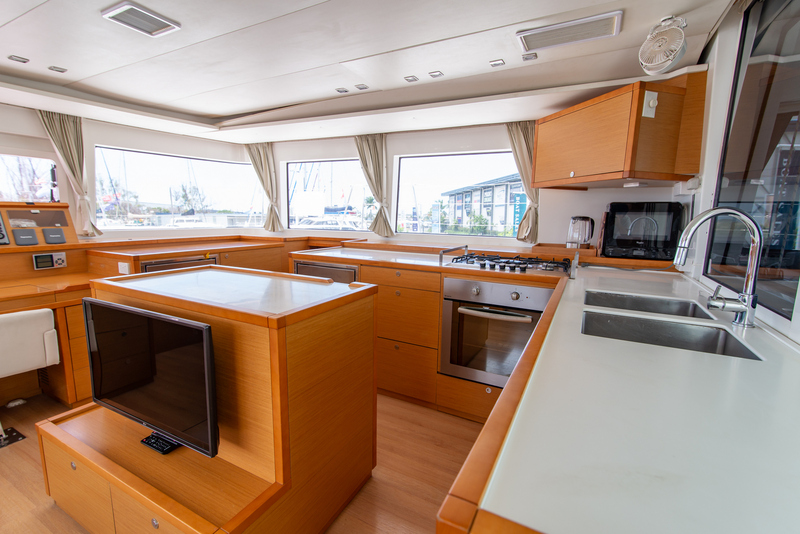 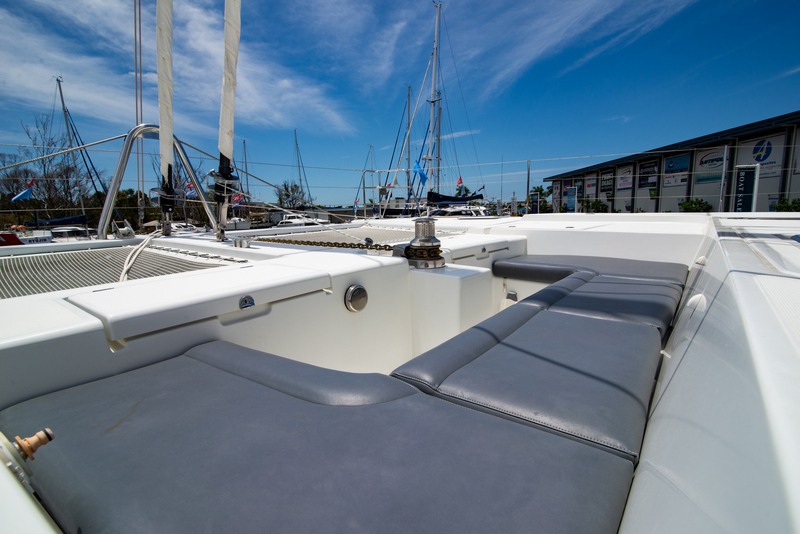 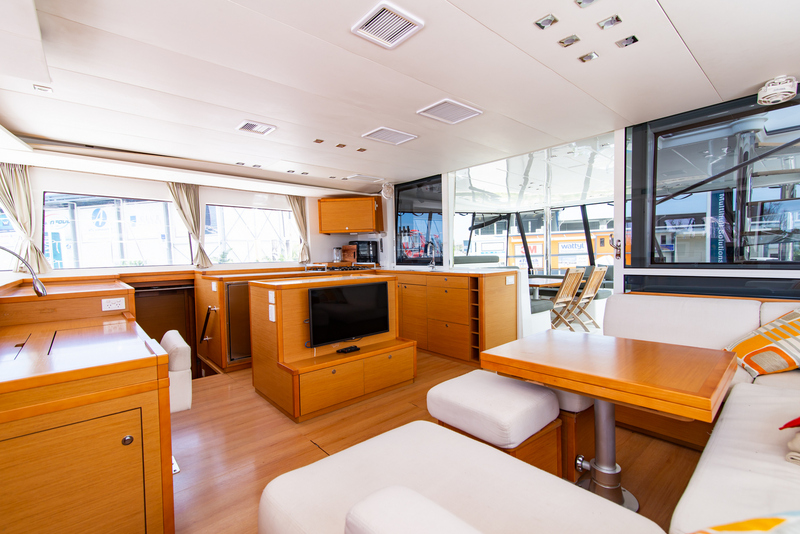 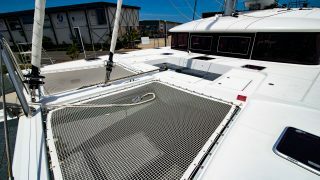 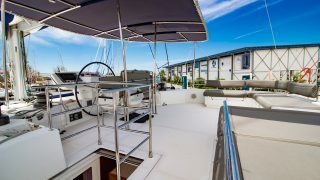 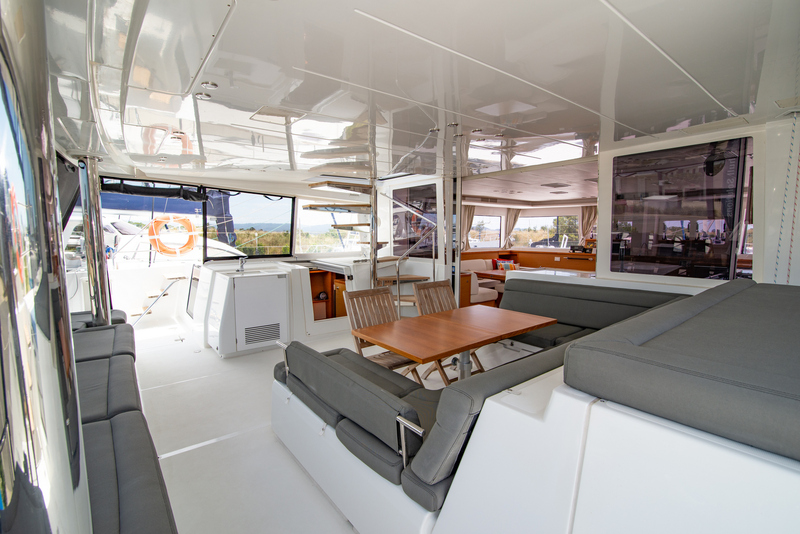 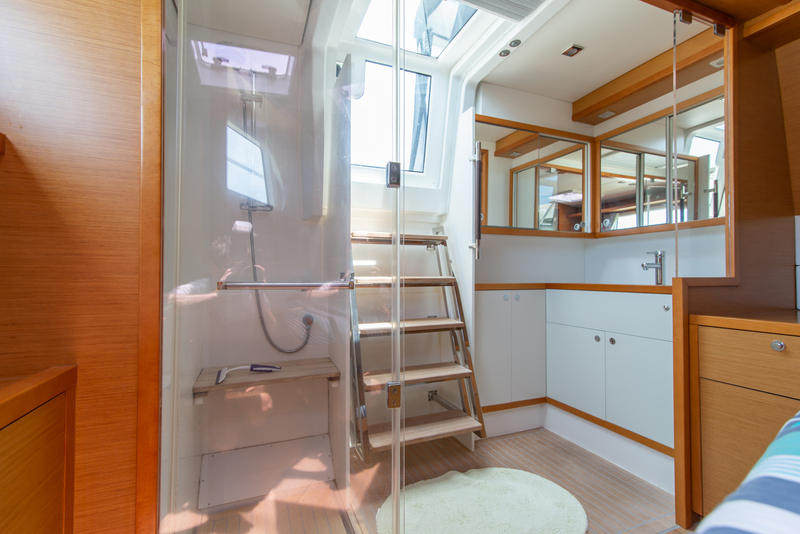 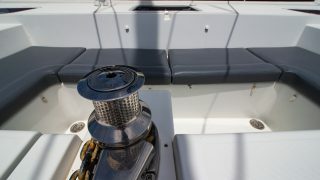 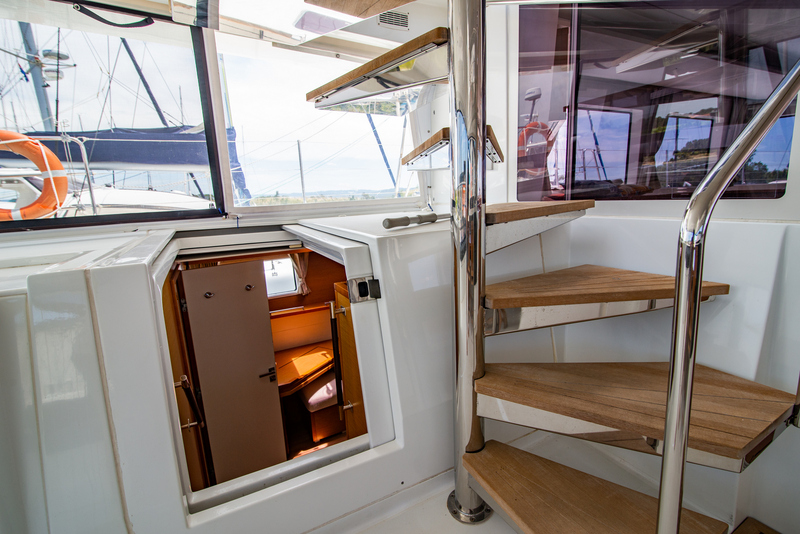 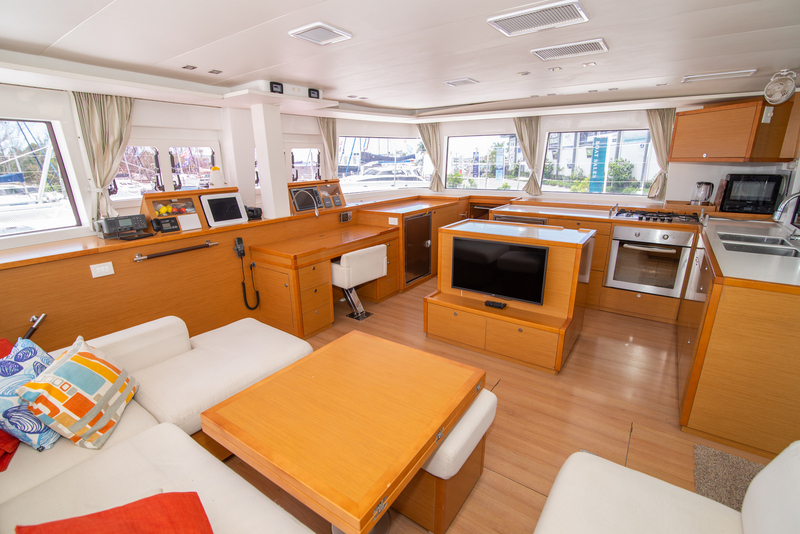 The fly bridge, an upper deck saloon with helm station provides unobstructed views; the fully protected cockpit which is level with the galley, ideal for entertaining; and the private and cosy foredeck. 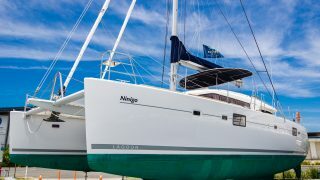 Ninigo is fast, reliable and easy to handle. 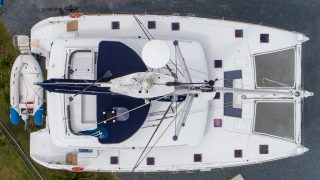 Immensely comfortable both underway and at anchor. 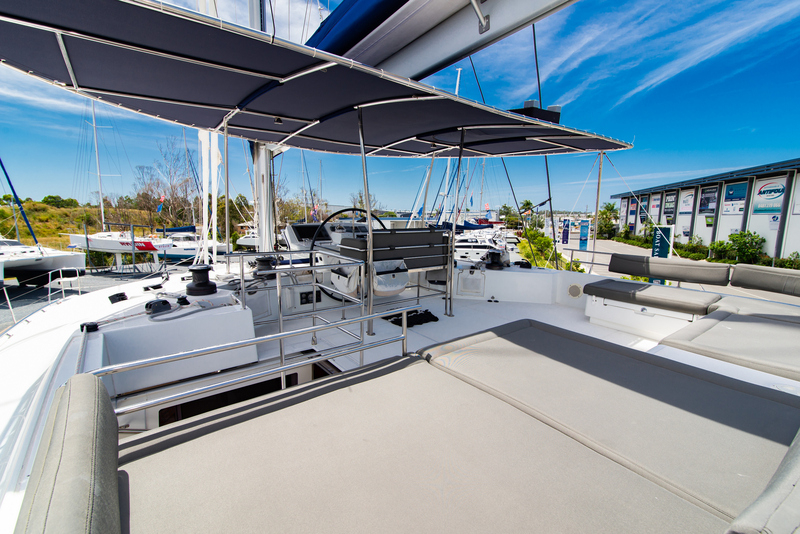 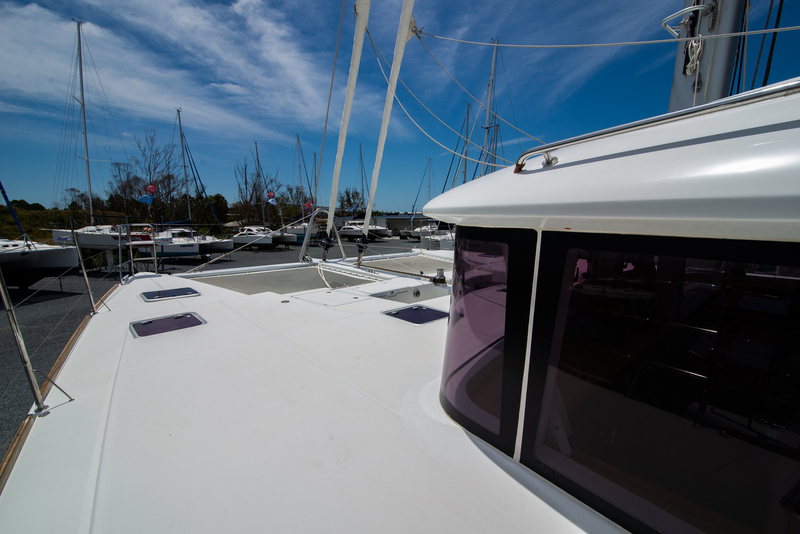 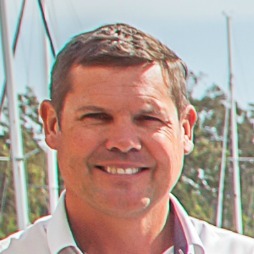 Conveniently located at The Boat Works Multihull Solutions Gold Coast office. 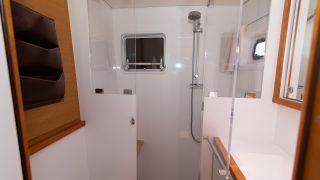 Contact kelvin on 0430941585 to view.